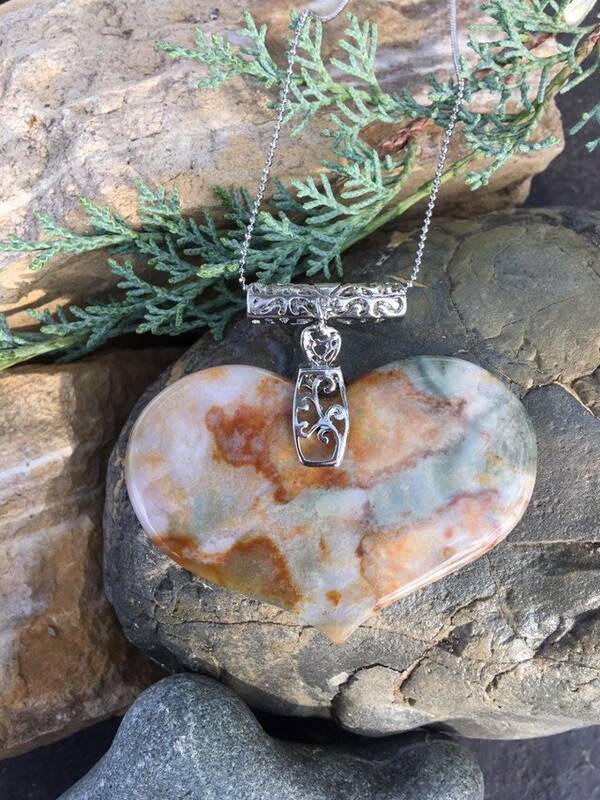 This beautiful, large stone heart is made out of fancy jasper. The stone has such lovely, soft colors of light to dark green, with patches of light to dark orange. It's gorgeous and its patterns are just soothing to look at. Heart is 2 1/2" wide and 1 3/4" long. It's on an 18” sterling silver chain.